Get started with Arduino with one kit! The Arduino boards can be used as the brains behind almost any electronics project. Arduino can interact with buttons, LEDs, motors, speakers, GPS units, cameras, the internet, and even your smart-phone or your TV! By connecting the Arduino board with a personal computer via a USB cable and uploading programs to the board, users can create digital devices and interactive objects that can sense and control objects in the physical and digital world like robots or even honest fortune-telling machines. 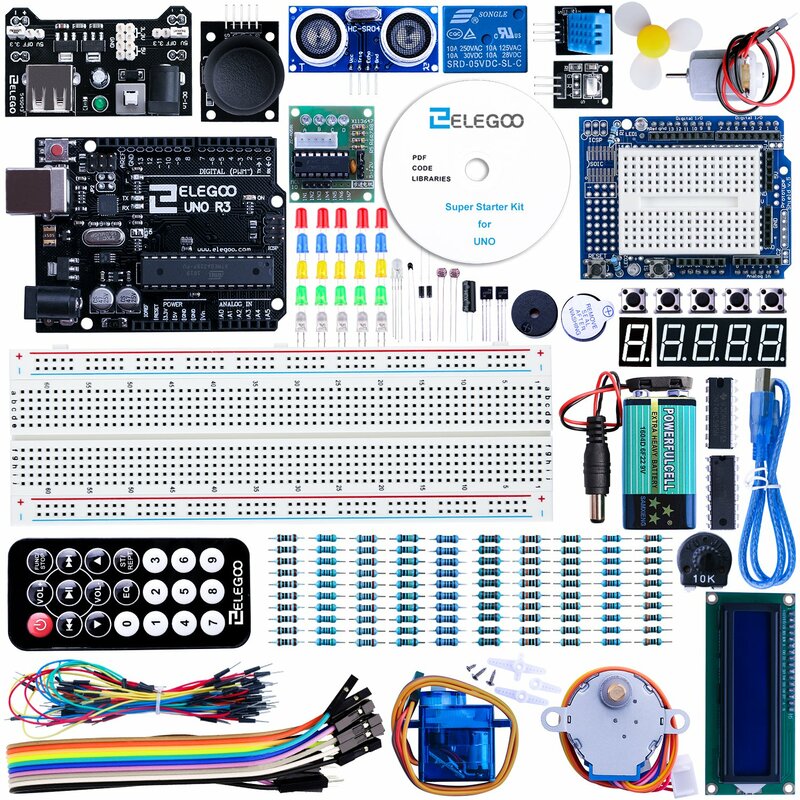 For this Elegoo Super Starter Kit, we provide a 24-lesson tutorial, introducing the basic setting of the Arduino software IDE, the working principles of the sensors and the simple program to enable the UNO board to control the sensors. This Kit is suitable for 10-year-old and up. Younger kids should be under supervision and guidance of adults.